Potential new members can attend any of four Sigma Delt-specific open houses. They can then express formal interest in receiving a bid from the house by “shaking out” with the current members. This revised process will not overlap with formal recruitment events, and shakeouts are not binding. PNMs can therefore go through both Sigma Delt’s shakeout process and the formal recruitment process before choosing a house. Shakeout will replace Sigma Delt’s direct involvement in the formal Panhellenic Council’s sorority recruitment process. During formal recruitment, a multi-round format, PNMs attend parties at each participating Panhell sorority. After each of the two rounds, women list their top choices and rank their bottom houses, attending additional parties at the sororities that call them back. The whole cycle, which happens early in fall and winter term, lasts about a week. Emily Burack ’17 and Julia Dressel ’17, Sigma Delt’s recruitment chairs, said that the house did not want PNMs to make decisions before they were ready. Burack said Sigma Delt chose to use the shakeout process to prioritize autonomy of PNMs, to increase transparency in the recruitment process and to reduce the social anxiety that surrounds formal recruitment by facilitating a more relaxed atmosphere. “We want PNMs to have as much information as possible before they commit to joining a house,” she said. 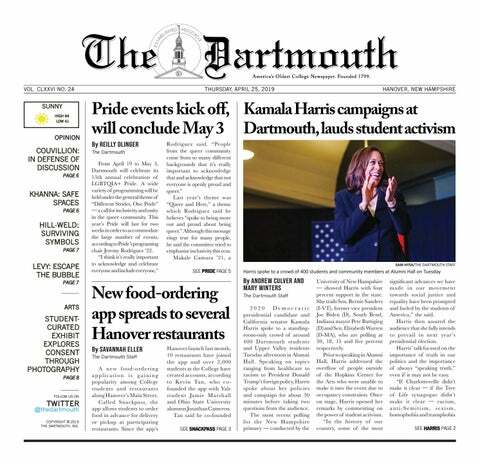 Meredith Nissenbaum ’17, Panhell vice president of operations, wrote in an email that Panhell has been working closely with Sigma Delt throughout the development of its shakeout process to ensure that the multiple recruitment models would not create any advantage or disadvantage. Sigma Delt has been working to implement shakeout since the fall of 2014, and the house has been working with Panhell since spring of 2015 to get the change approved. The house’s vote to hold a shakeout process was unanimously passed, Burack said. Epsilon Kappa Theta sorority has been conducting recruitment through a shakeout process since the fall of 2014, making Sigma Delt the second Panhell sorority to adopt the change. EKT recruitment chair Cori Lopez ’17 said that the shakeout process creates a more relaxed environment that fosters one-on-one conversations. For EKT, switching to shakeout was “the best decision we could have made for our sisterhood,” Lopez said. Lopez noted while transitioning from formal recruitment to shakeout went smoothly, EKT initially had trouble notifying people about the change to shakeout. Many PNMs who attend EKT’s shakeout are uninterested in the formal recruitment process, Lopez noted, and that they are happy to have access to an alternative procedure. She also said that EKT has seen a large number of women of color express interest in the house since the switch to shakeout, which she attributed to the comfortable atmosphere shakeout creates. Burack expects the time commitment to host shakeout for current members should be comparable to that of formal recruitment. Sigma Delt’s open houses begin on Sept. 20. Shakeout is on Sept. 29. If PNMs receive a bid the following morning, they will have until 10 p.m. on Sept. 30 to accept.